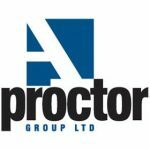 The A. Proctor Group has been in the Gas Protection market for the past 15 years promoting a range of gas membranes and venting components for use on contaminated land sites. Adequate protection against the ingress of ground gas and vapours is crucial and the A. Proctor Group can provide safe, cost effective and value engineered solutions. Our technical services include CAD details and project specific recommendations utilising the latest guidance and in full compliance with current legislation and standards. Reinforced LDPE gas barrier incorporating aluminium foil. Protects against the ingress of Methane, Carbon Dioxide and Radon. 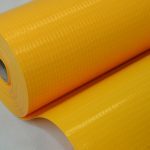 Reinforced LDPE loose laid gas barrier that protects against the ingress of Methane, Carbon Dioxide and damp. 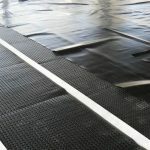 Provoid Gas Venting System consists of a 25mm geocomposite ‘void former’ that can be laid under the entire floor slab or, in strips at pre-determined centres, to suit the gas regime on site. 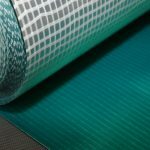 Multi-layered reinforced specifically designed as a hydrocarbon and VOC Flexible Membrane – New Product Launching soon.